Virtual Private Network or VPN is the most popular term among large organizations. It is a kind of private network that provides enough security in cost effective manner. Before discussing virtual private network, let us have some idea about the private network. The network can apply for a set of addresses from the Internet authorities and use them without being connected to the internet. The network can use any set of addresses without registering with Internet authorities. As the network is isolated, the addresses do not have to be unique. To overcome the problems of about two strategies, internet authorities have reserved 3 sets of addresses. Any organization can use an address from this range. To achieve privacy, an organization use any of the 3 strategies: the private network, hybrid network or Virtual private network. Virtual Private Network (VPN) overcomes the problem of privacy in private networks inside the organization in cost effective manner. To connect several sites, an organization need several leased lines that cost a lot. Virtual Private Network is a technology that allows organizations to use global internet for both private and public communications. VPN extends a private network across a public network. It enables users to send and receive data across shared or public networks. It is possible because their computing devices are directly connected to the private network. The IDEA behind Virtual Private Network was to allow remote users and branch offices to securely access corporate applications and other resources. To ensure security in VPN, data would travel through secure tunnels and VPN users would use authentication methods. Authentication methods includes passwords, tokens and other unique identification methods to gain access to the VPN. 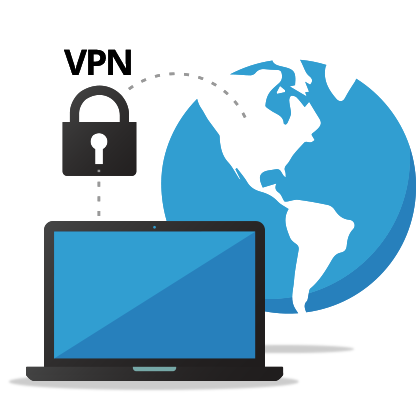 A VPN is created by establishing a virtual point-to-point connection through the use of dedicated connections, virtual tunneling protocols, or traffic encryption. Why is VPN called Virtual? VPN Technology creates such a network that is private but virtual. It is private because it maintains privacy inside the organization. It is virtual because it doesn’t use private WANs in reality. These networks are physically public but virtually private that is why it is named so. VPN Technology provides authentication, integrity, and privacy inside the organization by using tunnel mode of IPSec. In tunnel mode of IPSecurity, each IP datagram destined for private use in the organization is encapsulated in another datagram. To use IPSec in tunneling, the VPNs need to use two sets of addressing. 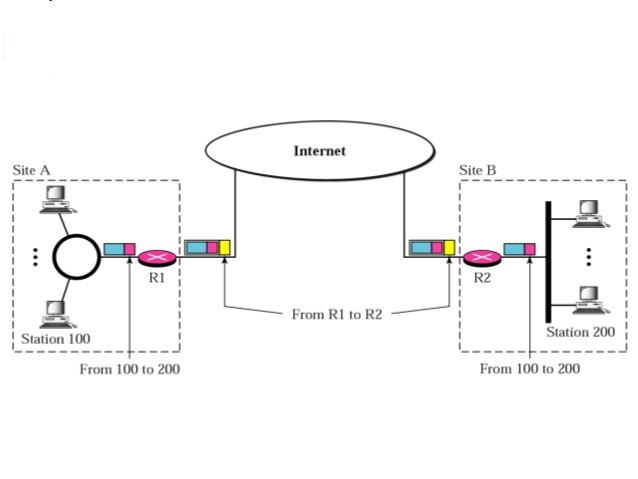 The public network (Internet) is responsible for carrying the packet from R1 to R2. Outsiders cannot decipher the content of the packet or the source and the destination addresses. Deciphering/ Decrypting takes place at R2, which finds the destination address of the packet and delivers it. VPNs are basically used to create a private network over a public network. When users connect to VPN, their traffic gets routed through a VPN tunnel. That means all of that traffic becomes encrypted. Thus, nobody will manage to keep track of it. The moment when you connect to a VPN server, your IP address gets replaced with the address of the server. In short, you can enjoy several benefits like online anonymity, unrestricted access to Internet content, the chance to enjoy online freedom of speech, access to file-sharing platforms, online safety while connecting to public WiFi hotspot, complete data security and many more. How was the article? Must share your views with us in the comment section below. Visit our Tech-Blog for more informative posts. Your writing is very neat. You elaborate things easily with neatness. I appreciate your work. Thanks for the post.